Upon browsing the internet i found this http://bringerp.free.fr/forum/viewforum.php?f=3 it has the Kroah's Game Reverse Engineering Forum where people post source asm mostly code of old games plus any documents and comments regarding old games. For a newbie programmer or someone that wants to learn asm this is very good. In the past i tried to dissasemble some konami megaroms and roms,i found out many interesting stuff regarding how the roms are initialized the way routines works etc,but since i dont have the knowledge of some more experianced people here the following idea came. "Why dont we do this on msx too ?". Of course always respecting the copyright and never uploading something that is copyrighted,but providing pieces of game code or analyzing.Would be cool to have a metal gear source code fully commented or some usas commented source code. 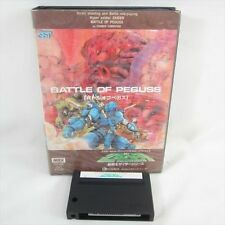 Does any of you know of any msx games that have been dissasembled or source code exists ? Is any of you programmers out there willing to dissasemble some old msx game and provide documents for the rest of us that want to see how the old programers did the trick? I bump this thread. 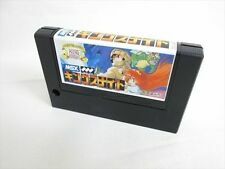 Woukd be interested to know if anyone has dissasembled and commented source of msx games megaroms or regular roms konami or something . I have seen the last years that there are plenty for other systems. It would help any newbie msx programmer to get better so any source code here? I LOVE THIS IDEA! I want to see some konami game's disasm codes! for starting, people could share etherpad or pastebin links, indexed somewhere! That's what I was dreaming and trying to do most of the time back then with my collection of games. I tried hard to be able to locate and extract the sound data along with its routine in order to put it with others in a single binary file then from a simple BASIC menu I can listen to those games music. I tried to ectract some visual routines but I couldn't succeed in either of those because of some limitations. First I used to have AX-170 which is an Arabic MSX1, so it means that I don't have a disk to save my work. Second I couldn't find good MSX machine code books to learn about MSX BIOS routines (I tried to disassemble it myself and I understood lots of things about it and about some BASIC commands but not fully understand all of that). Third I was alone in that. Couldn't find MSX users who share the same interest in MSX BASIC, assembly & machine code programming. Forth I didn't have any other utilities to help me improve my programming skills in assembly. No assemblers. All I had is the BASIC and a text editor. So I used to make some machine code routines in a BASIC program and call it. Too exhausting and time wasting method, but I enjoyed it 'cos that was all I had. Extracting music data and its routines especially out of KONAMI's games cartridges is still a dream to me and I'm asking those of you who have the knowledge and tools to do it, so why don't we try?! I'm trying to disassemble sky jaguar with ida pro and it's a lot of work. To avoid copyrights issues maybe we can upload only the sym file (the label names with the address). Disassembling a game is not a big issue, the problem is to analyse, statically and dynamically, thousands of lines to understand how the routines work and the game operates. I mean, it is not applying reverse engineering to circumvent a protection; reversing a whole game is more serious and time consuming. Not to mention that the disassembled code would need fixes to compile. Not a trivial task unfortunately. Even with several years of reverse engineering on my back, I would not embark in such a long-distance race.